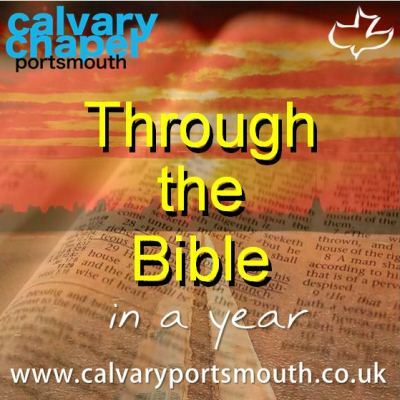 This study, taught by Pastor Barry Forder, is the 47th and penultimate session of our ‘Through-the-Bible-in-a-Year’ series recorded during 2014 as part of our Sunday morning family services. In this study we review chapters 1-11 of the Book of Revelation. The book is the Revelation of Jesus. It ‘unveils’ Jesus in all His glory and majesty. Rather than being ‘too hard to understand’, as many would claim, we are expressly given the purpose of this book: “to show unto His servants things which must shortly come to pass”! (1:1). This tells us two things: 1) we are intended to understand; and 2) this book records in advance events that will take place in the future. This is not picture language or allegory. Without this book the Bible would not be complete. As Genesis is the book of beginnings, so Revelation is the book of endings. If foretells the end of this order of things – i.e. the way the world is at present. It also foretells the end of Satan’s rule on planet earth, and the end of the false religious and political systems of the world. It clearly shows the destiny of the Church, the nation of Israel and of all unbelievers. It ties together all the Old & New Testament prophecies and leads us into eternity with Jesus enthroned as the universal KING OF KINGS AND LORD OF LORDS. Chapters 1-11 take us from John’s introduction (ch 1), through the 7 ages of the Church, (seen through the lens of 7 churches that then existed in the area of modern-day Turkey) (ch 2-3), then to the throne room in heaven (ch-4-5). Then begins the much prophesied time of 7-year Tribulation (ch 6-10), and finally we are introduced to two witnesses that will witness from Jerusalem during the first 3 1/2 years of this 7 year period.